Very merry greetings to all! I do hope your holiday season is great so far, and would just like to take the time on this stormy winter day to give everyone an update on projects of mine to look out for in the new year. 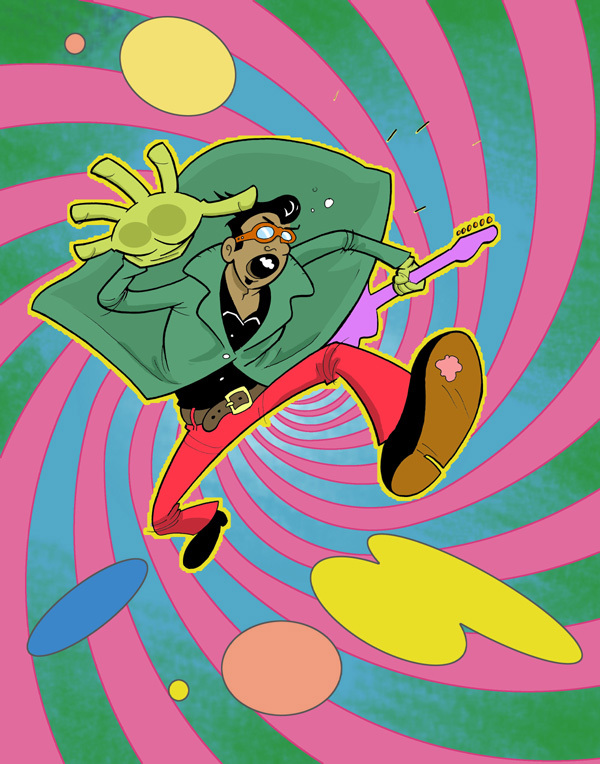 As shared in a previous post, Under Belly Comics has picked up The Guitarist, the new graphic novel series from CW Cooke and myself. The story and artwork are currently undergoing some cosmetic overhauls as we put together the rest of our creative team. Check back here often for production art and updated on release information. This is going to be one wild ride, and to whet your whistle, here’s a teaser image brought to you with backgrounds by colorist Melch Valimento. There are also some exciting developments which have occurred recently in the animation industry. Unfortunately there isn’t much that I can share as of now, but I’ll reveal that there are some series pitches submitted to networks as well as other opportunities which have presented themselves that may serve as entrance into the field. Hopefully there will be more to share in the new year, so for now, send your good vibrations my way and think happy thoughts. 2015 is going to be one exciting year! Happy holidays y’all!